For the most part, Tennis is a serious sport that requires the audience to be respectful of the players. Famous people sit in the stands at Wimbledon and watch as two or four people use all their might to slam the same ball a dog chases at their opponent while trying to keep it in bounds. But sometimes, the camera catches some interesting things. Baseball has the seven inning stretch and it looks like Tennis may have the break of their own, dancing. Really, they were covering the court before it rained. 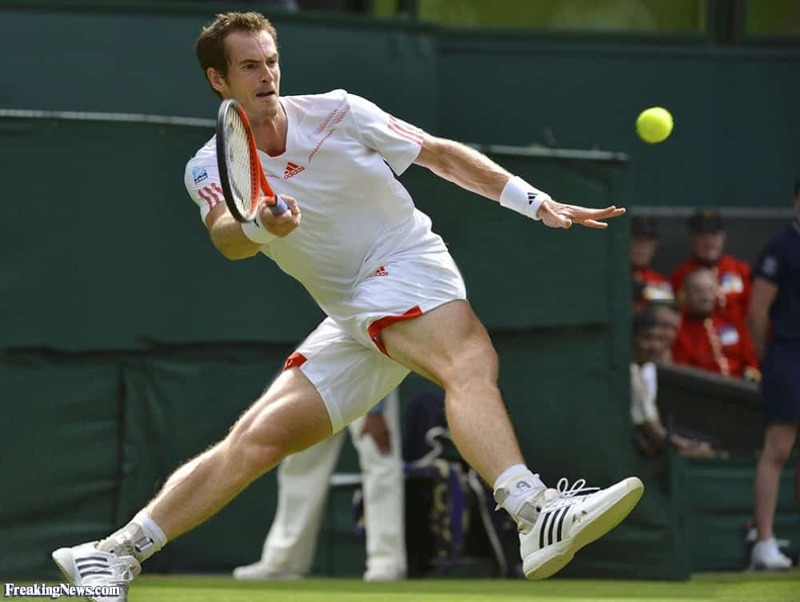 Tennis player Andy Murray is showing off his twisted leg Forehand in an effort to scare his opponent. Don’t try this at home. The world knows Serena Williams can play tennis, but did you know she was also the owner of some extreme dance moves? 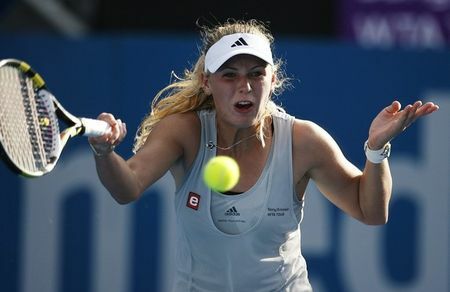 Actually, she was hitting a return against Ana Ivanovic in which she eventually beat. Tennis player Novak Djokovic takes a moment away from his play and shows his true feelings. Later on in the match, he broke out doing the gangnam style dance. Tennis is a very competitive sport, and some times when things are not going your way, a racket ends up broke. 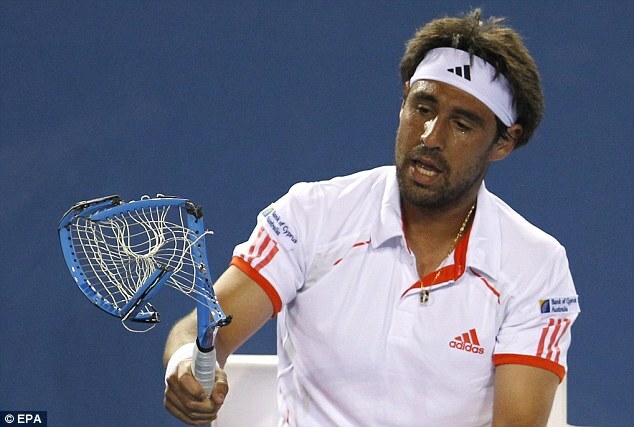 Or maybe four rackets in sixty seconds when you are Marcos Baghdatis. 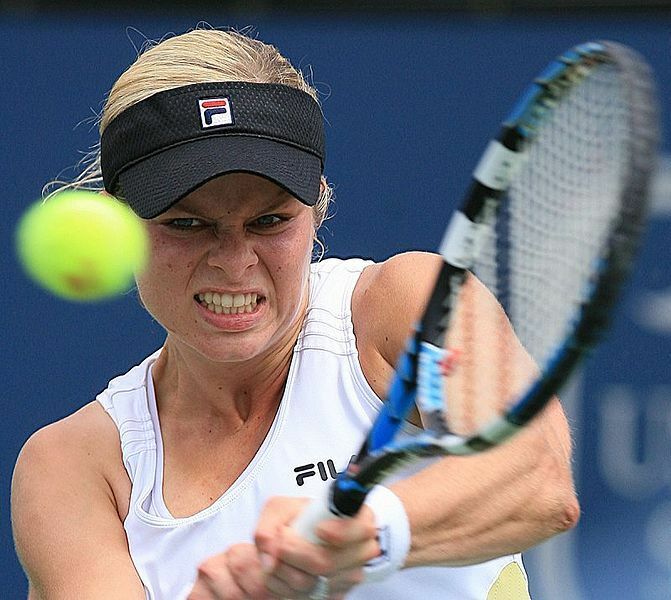 There is no questioning the intensity of Kim Clijsters and her desire to return this ball with fierceness. 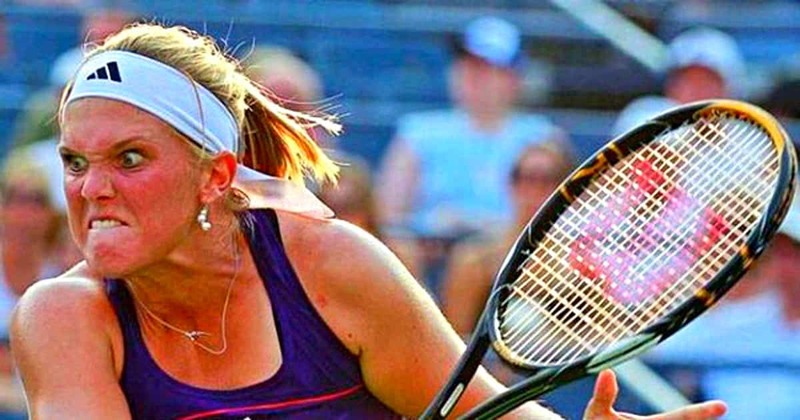 She was player of the year in 2005 and 2010. 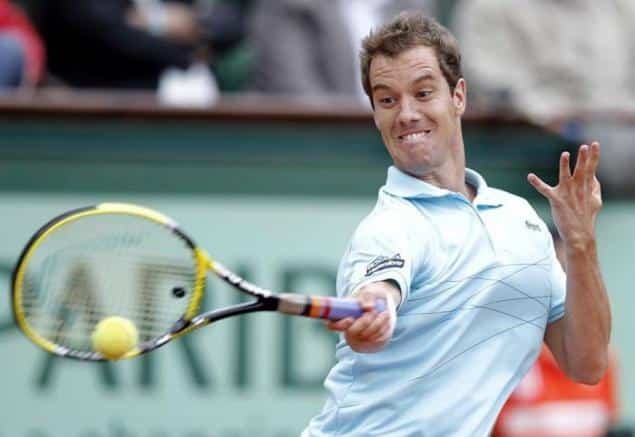 Holding the racket properly is important. But it what you do with your other hand that provides the proper balance to psyche out your opponent. 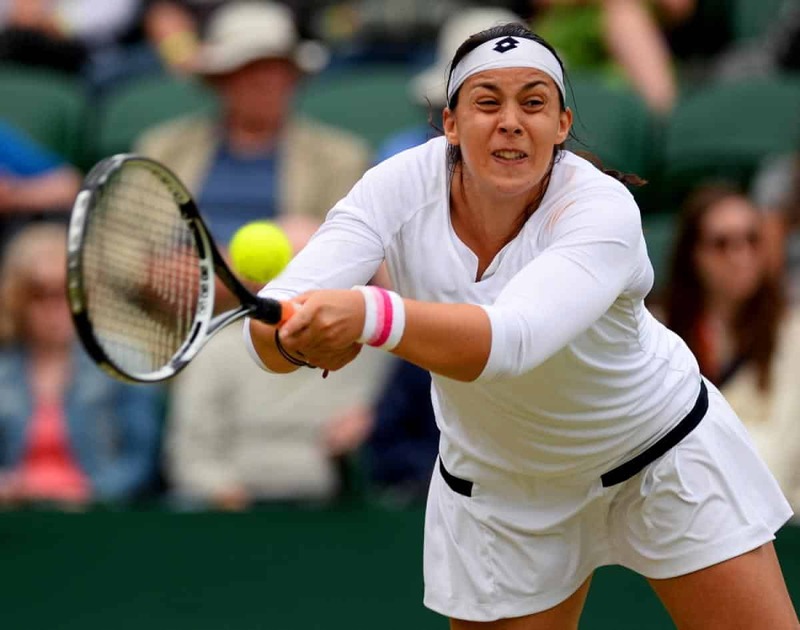 Marion Bartoli of Italy uses her stretch to reach the ball and get it returned. Go Go Gadget arms! This return is going to be so delicious that I can taste it. Just don’t bite your tongue in the process. Is she afraid of the incoming serve or did the camera catch her at a moment right before an awesome return? Each return is called out of bounds and he can’t figure out why. If he were to open his eyes, he’d be able to see the line. 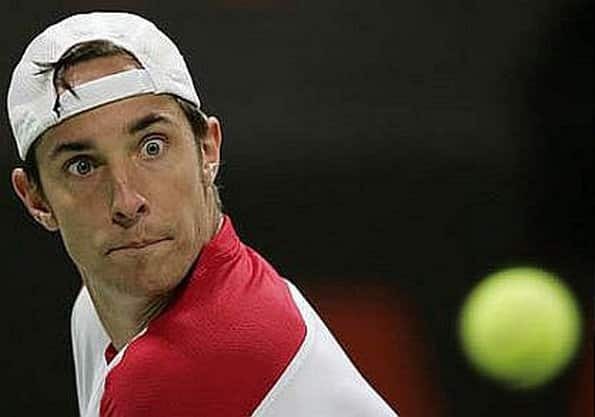 When you take a double dose of laxative because you didn’t think the first one worked but realized they both were getting ready to kick in during your tennis match? This smells like trouble! When you are standing in the sand and expecting a volleyball to be served and a yellow tennis ball shows up. This is the face you make. 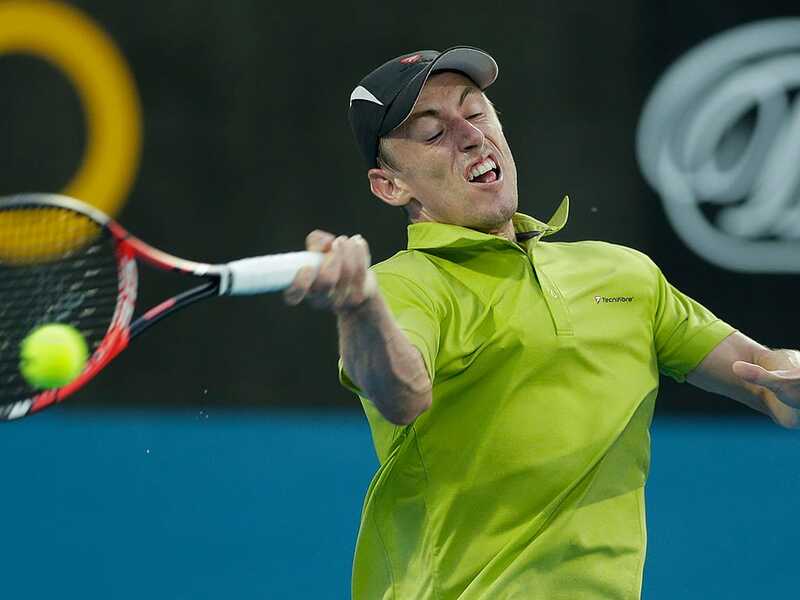 Another tennis player who has figured out the secret of hand placement when returning a serve. Let’s hope the Williams sisters don’t learn about this secret. By day she is a school teacher. But on the weekends, she uses her hair as a mustache to disguise her from her students. He is standing on a tennis court, holding a tennis racket and staring at a yellow ball. He looks confused. 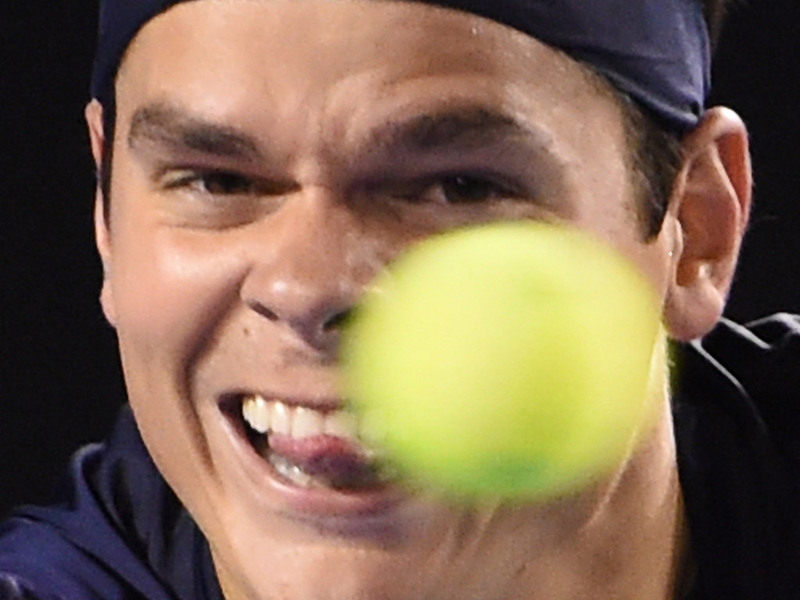 Maybe someone can tap him on his shoulder and let him know it’s a tennis ball. 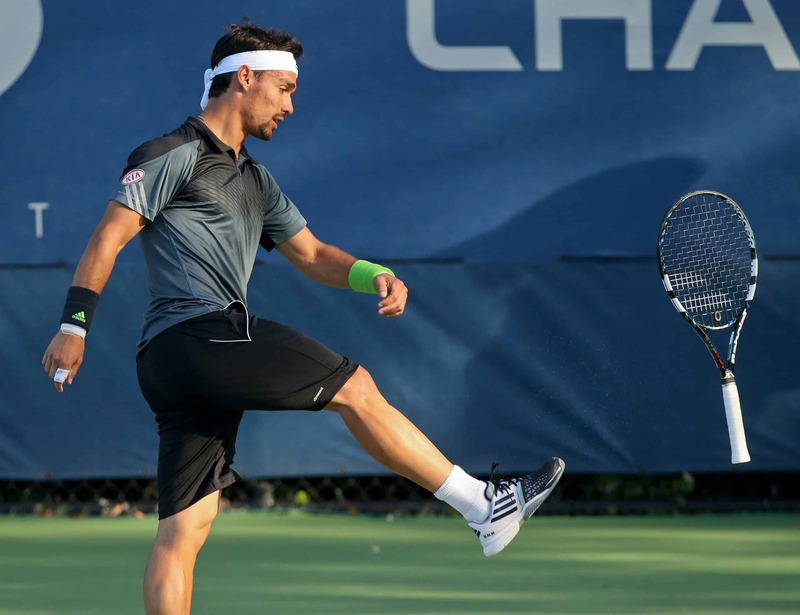 Some believe it is the practice that makes a tennis athlete good. 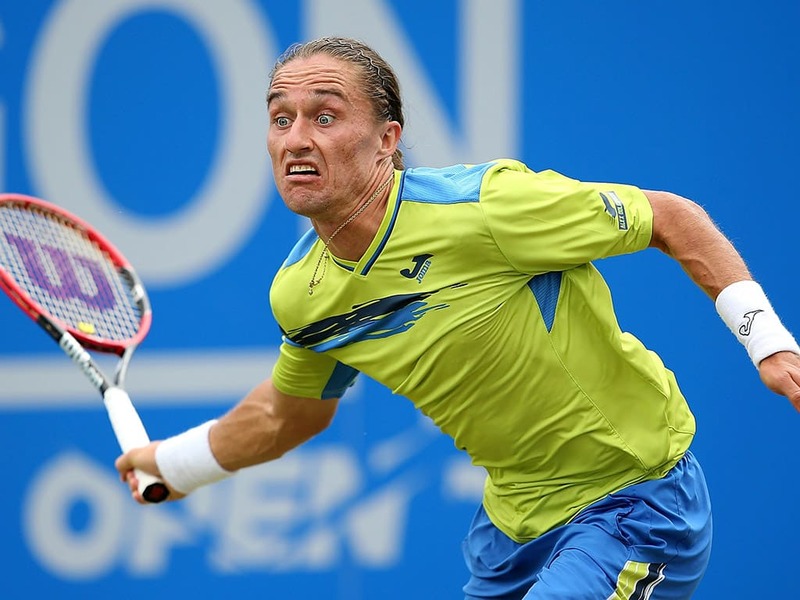 The practice of making facial expressions to bring fear into the tennis ball. Time for some honesty. 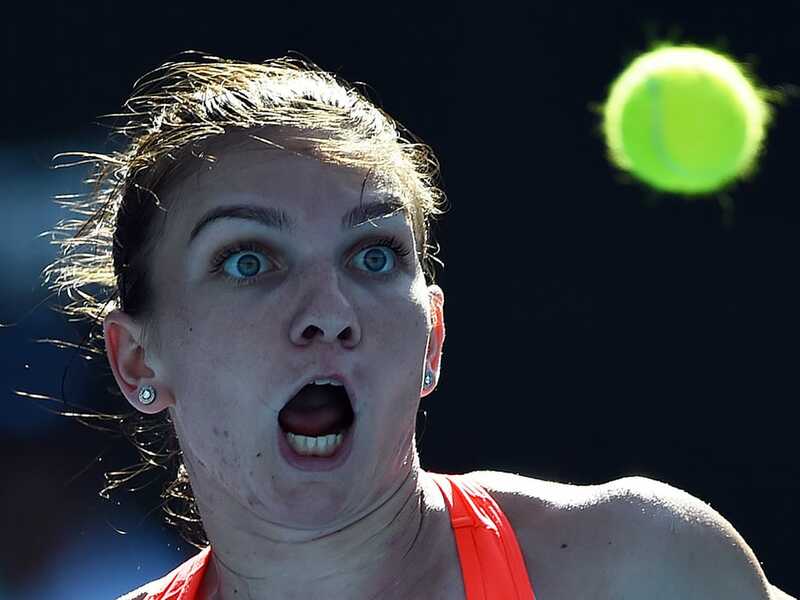 If I were her opponent and she made this face going after the ball, I would pack up my rackets and run out to my car, never to return to this court again. 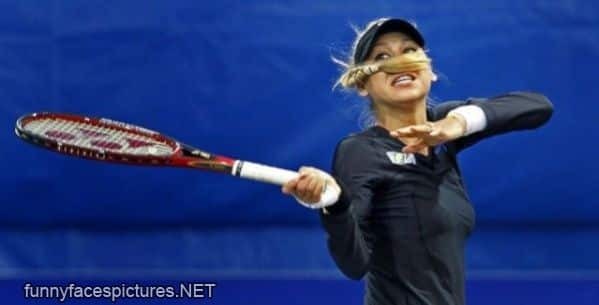 When the serve is too far to reach, use your feet. 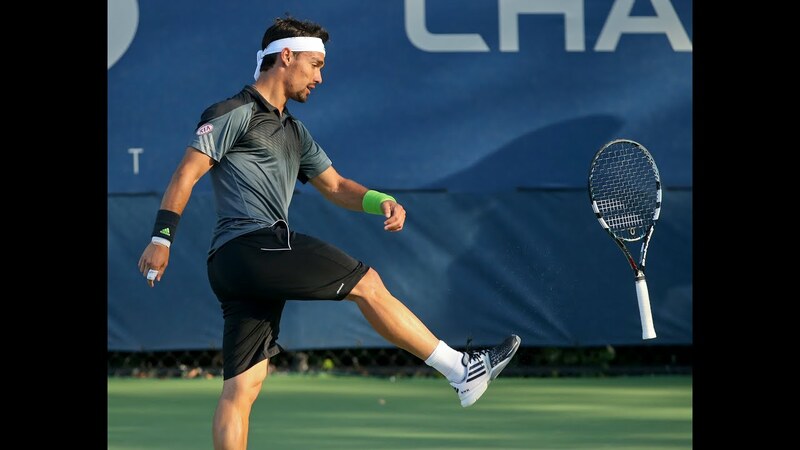 Not to move your body closer to the ball, but to kick your racket closer. This technique is known to never work.